"Drugs have had an extraordinary impact on contemporary life in this country. . . . No other social problem has generated so much debate and controversy. No other area of public policy formulation is so riddled with half-truths and false information. Edward Anderson's book fills a gap that needed to be filled." "This book will certainly contribute to a better understanding and respect for this substance." "Especially admirable [are] its relatively objective tone and the breadth of its learning. . . . a tour de force of interdisciplianry scholarship." "Each chapter is extremely informative and enlightening. . . . [The book exhibits] deep sensitivity and understanding . 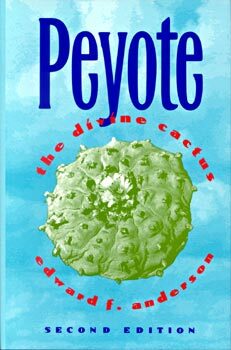 . . for the plight of the Mexican and American Indians in their desire to use peyote in the face of the white man's prohibitions against it."